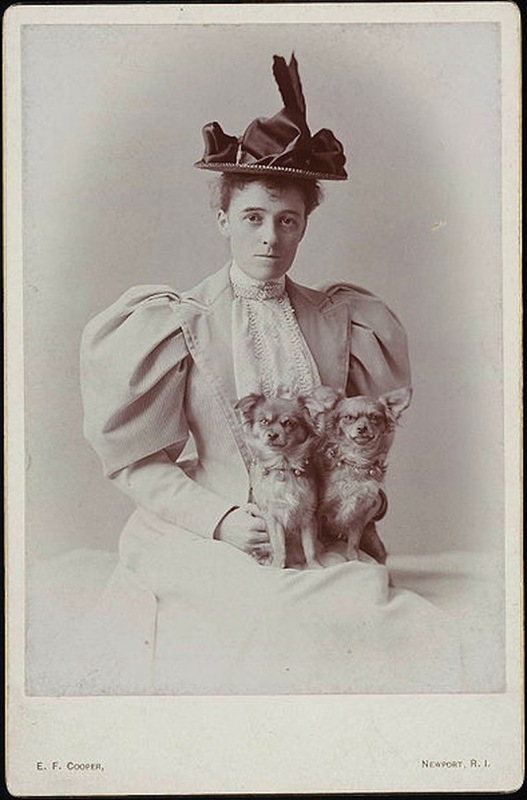 Edith Wharton is known as a novelist but she was also a wonderful hostess, whose guests (including Henry James) remember her as “kindness and hospitality incarnate.” Kate Bolick has turned Wharton’s life-long attempt to master “the complex art of civilized living” into an entertaining guide, “The Guesthouse of Mirth,” just in time for those last few summer parties. Pair with Roxana Robinson’s reflections on Wharton’s life and works, including the original The House of Mirth. Last week, on one of the first springlike days in New York, Jonathan Dee met with me in the recesses of Edgar’s cafe, located off the honorarily named Edgar Allan Poe Street on the Upper West Side, where Poe resided when he completed “The Raven.” We talked at length about The Privileges, as well as withholding judgment while writing, his move away from classic American morality tales regarding money, originality, and lessons learned from his time at The Paris Review. The Millions: The Privileges begins with the marriage of Cynthia and Adam Morey, who are 22-year-old college graduates from middle class families. They’re the ideal couple who meet sophomore year and who, we assume, are engaged to be married by their senior year in college. After college, they move to New York and get married. Cynthia and Adam share a common ambition–a desire to accumulate wealth–and also an unshakeable love. What compelled you to write a novel about these characters who seemingly have everything by American standards–ambition, love, beauty, and increasing wealth as times goes on? Jonathan Dee: At the point the book opens, they have no wealth at all. I don’t think of it as a book about rich people, really, because, to me, who Adam is makes him money. Money doesn’t make Adam who he is. In college you probably knew one or more than one of these charmed couples–people who really just seemed socially, and charismatically, and in terms of how they looked, to have it all. But not only that. The ambition that they really share at that point is to leave their own families behind, to leave their own pasts behind, and that’s an impulse that never abandons them through the twenty years of the book. They are in a hurry in a lot of ways. They are in a hurry to succeed, but at least as important to me is that they are in a hurry to start again. They think of themselves as year zero in their own lives. As the book goes forward, they become interested to the point of sentimentality in the idea of what comes after them, but they never lose their lack of interest in what came before them and how that made them who they are. TM: The book is concerned with the reinvention of self. Cynthia and Adam move to New York in order to forge a better future for themselves. The Privileges is also a very American tale, in the sense that they’re thinking of how to recreate themselves, how to fulfill their desires, and how to provide for their children. And also in the sense that there’s an endless reservoir of hope for a prosperous future. The pursuit of happiness is something that they pursue at all costs–it’s almost hypertrophic by the end of the novel. Are the Moreys the embodiment of the American Dream? And also, where does the American Dream fall short? JD: When I was writing it, I wanted to be extra-careful, and this was based in part on my own reading of my earlier books. It can be a kind of trap to fall into–if you conceive of the characters as symbolic of anything, I think that has a real deadening effect. Any time I caught myself thinking of Adam and Cynthia as symbolic of anything other than Adam and Cynthia, I would mentally slap myself in the face. I really wanted that to build strictly from the inside out. So it’s true that I do think of them as having some peculiarly American characteristics, among them the attitude toward the past that I mentioned. It’s not so much that they lose their sense of hope about the future, and it’s not true, either, that they feel entitled. It’s just simply that they have a great deal of faith in themselves. They have an enormous faith in themselves, their love for each other strengthens that faith, and in fact, they’re not wrong. The events bear that out, maybe not in the way that they would have originally imagined, but their life bears out their belief in their own sense of destiny. It’s tricky for me to start talking about them as being particularly American because the more I go in that direction, the further I get from the direction I wanted to go, which is to make these two people as credibly idiosyncratic as I possibly could. TM: I wanted to ask you about the complexity of the characters. If the characters were entirely symbolic, it would be difficult to have empathy for them, as it would if the narrative didn’t get inside their heads. I was reading your Harper’s essay, “Ready-Made Rebellion” about the empty tropes of contemporary fiction, and you quote Milan Kundera, who says that the novel “is a realm where moral judgment is suspended.” You go further to say that an author does this by complicating morality and providing multiple judgments and multiple viewpoints within the novel. I think you succeed doing that in The Privileges. The characters are complex, like in the way Adam justifies his insider trading in order to provide for his family and to make Cynthia happy. In terms of The Privileges, the moral judgment is suspended to the point that at the end the Moreys are still thriving. We, as readers, know what comes afterward, in economic terms. I don’t know if you intended that, but we also see their recklessness with the pursuit of wealth and desires. But we don’t see any negative consequences of their actions. Why is that? Do you think the novel speaks for itself? Or do you see it as more of a family drama? JD: There’s a few questions in there. First of all, yeah, I was very conscious of the facts as Kundera says, it’s the writer’s job to frustrate or subvert any reader’s natural inclination to judge. That certainly is in play when you’re writing about characters like this. Ninety-nine percent of people, and probably a higher percentage of readers, have it in, in general, for characters like this, and feel when they read about people like this, “Oh, I know how I feel about them, I know what they’re like.” So, I was very much interested in making them hard to pass judgment on, at least until the book was shut, and possibly past that. As far as their not getting punished, I can’t say I knew that from the very beginning. When I was in the making-notes-on-napkins stage of the novel, there were certainly ideas I had about Adam being brought low in different ways. But I realized pretty quickly that novels are not fables, and to make the story of Adam and Cynthia into that kind of morality play where people would be satisfied by seeing them brought low–I just feel like I can be as judgmental as anyone else in real life, but the idea of inventing fictional figures in order to then demonstrate my own superiority to them and to share that sense of superiority with the reader, and to take pleasure in watching them be punished for their arrogance, for their greed, for their fill in the blank, it just seems like a really empty exercise. So then the question became, OK, if the story of how these people move through the world is not about that, then what’s it about? I became interested in the same question that essentially Adam and Cynthia become interested in, which is, How will we have changed the world by moving through it? They don’t have a great spiritual life. Adam’s own philosophy, if you can call it that, is very much founded on, this is the only life and you have to maximize it–you’re not going to pass this way again. So they become very interested in the kind of legacy they leave, and I became very interested in it, too, but in a different way. The legacy they leave behind is hopefully borne out through the portraits of their children rather than through the kind of plot mechanics that would result in Adam going to jail and Cynthia having her money taken away. Does that makes sense? TM: It definitely makes sense. In some ways I read the novel as more of a family drama, about a privileged family. TM: They encounter the same issues that other people do, but they have a larger playing field because of their money. Also, when I think of money and class in the American novel, like in The Great Gatsby or The House of Mirth, money traditionally holds out something–it represents an empty desire or in some way causes the characters’ downfall. I thought it was an interesting choice to move away from that. JD: To say that the desires that are sparked by wealth turn out to be empty–there’s a whole set of presumptions behind that, obviously, that are not presumptions these characters would share, so what’s the point? I mean, they do live very much in another realm, certainly another moral realm. What’s the point of dragging them forcefully onto your turf so that you can then punish them according to those terms, you know? One book that I had in mind, as odd as it might seem, when I was writing this was The Postman Always Rings Twice. Have you read that? JD: It’s a magnificent book, an underrated book, underrated by the fact that it had a famous movie made from it. But, very much a novel about two people who are epically in love and that love generates its own morality. It generates its own spirituality, and makes them into outlaws, but in a way that you never lose your sense of recognition about where it’s all coming from. You never lose your sense of the rigidity of that system even though that system diverges more and more from the rest of the world. That’s a first-person book, so in that respect it’s easier to create the sense of being more or less imprisoned within the moral system of the characters. That’s a book I really admired. TM: That’s interesting—creating a morality system within your own realm, within your own love—because that’s very much something that Adam and Cynthia do. In a sense that’s all they have. They’ve cut their ties to the past, and in doing so they’ve lost their sense of heritage and tradition. Even their wedding ceremony is a hodgepodge of readings. Their daughter April is distressed to learn that her name has no significance within the family and that her parents’ knowledge of their ancestry is really unspecific. They don’t revisit the same vacation spots until Adam has business reasons to do so, and so it seems that a sense of novelty is very important to them, as is recreating themselves. Their gains are more tangible than their losses, and so I’m wondering, is anything lost in this? What do they lose? JD: That’s a good question. Adam is very obsessed with his physical condition, which is explicitly a way of being obsessed with time and of doing battle with time. And even though you don’t really see him lose that battle, you pretty much know that after the book is over that battle will be lost for him, just like it is with everybody else. Cynthia is conscious of that, too. One of the things that characterize both of them very early for me is the idea that they were never where they wanted to be, in terms of time. When they were young they were in a hurry to get older, and as they become older they would try whatever trickery they could employ to either look or to actually feel younger. The losses are small, and I wouldn’t want to overstate them because that seems to me like gaming your own system in a way–to try to balance out their gains with losses–because that’s not how they live. Cynthia’s relationship with her daughter–that’s a loss. At the point where the novel ends that’s pretty much shot, and to me it’s shot as an outgrowth of wanting to be her daughter’s peer when she was younger. TM: I’m wondering, has the economic climate altered reception of the book? JD: Oh, for sure. Actually, before I answer that I just remembered I didn’t answer something that you said earlier about the timing of the book, in terms of what happens after the last scene, in terms of current events. It’s really the opposite for me. I had the opportunity to write anything like that into the book that I wanted to and I really did just the opposite. I took as many explicit time markers as I could out of it. Inevitably, some are still in there, there are cell phones and whatnot. But my feeling is that there were guys like Adam a hundred years ago, there will be guys like Adam a hundred years from now–it’s not really tied to current events. He is a recurring phenomenon, a kind of eternal American phenomenon. He’s not a product of his times in any way. I just answered the question you didn’t ask. What was the question you asked again? TM: About the reception of the book. I find it’s difficult not to read the current circumstances into the book. JD: It cuts both ways. On the one hand, there’s certainly a lot of reader interest and a lot of critical interest in characters from that world–an interest that wouldn’t have been there maybe two or three years ago. But on the other hand, like I was saying before, what’s at the bottom of that interest is a desire to see these people brought low, a desire to see them explicitly punished. When that doesn’t happen, people find that frustrating. There’s a lot of reception I’ve seen that’s along the order of, “While it is brave of Dee not to tar and feather these characters and have them publicly hanged, one wonders, if he’s not going to do that, why write about them at all?” I get that, but like I said, it was too easy to spend years doing. TM: Changing the ending would change the perspective. Instead of the novel being a portrait of this family, the focus would become the moral component brought into it. JD: It would be more like a portrait of the audience. TM: I was wondering why you chose to use a close third person narrator who moves between characters, instead of sticking with one character, or just Cynthia and Adam. April and Jonas come into it more as the novel progresses. JD: I really enjoyed doing that opening chapter of the book, in which, as you say, sometimes the perspectives change mid-paragraph. But I didn’t think that could possibly be sustained for the whole book. There were certainly drafts of the book that had other sections from other perspectives that weren’t the family’s and I ended up getting rid of them because I liked the idea of the book being built on these four pillars. There’s one scene in the book that violates that rule, but otherwise it’s just the four corners of the castle, and they’re looking out at the world, always with their backs to each other. I thought that seemed like an appropriate model for the book. It goes back to the question of how to forestall a judgment. It’s definitely a closer third person than I’ve ever done before because you can’t for an instant let that kind of critical gap open between yourself and the character, the sense that the character is doing something that you wouldn’t approve of, or that you wouldn’t do. There has to be no seam there at all, because once that air of keeping them at arm’s length or passing judgment on them sneaks in, it’s very toxic. So, yeah, I tried to, even though it was third person, to do it from the inside out. I could’ve done four different first-persons, but that’s very messy. There are all kinds of reasons I don’t like that. TM: On a broader scale, your novels often deal with American enterprise–here it’s Adam working at a private equities firm. Palladio and The Liberty Campaign both deal with advertising. Your approach is realist and character-driven in novels that consider larger issues in society, business, status, and culture. In a sense it almost seems like a throwback to a more traditional American novel, and I mean this in a good way. There was a reviewer of the Liberty Campaign who at the time said if any under-40 writer could write the Great American Novel, it would be you. I’m wondering, in that sense, who do you see as your literary forebears? And what do you think of contemporary fiction–which is a very broad question, but answer it as you see fit. JD: If there’s something traditional, or of a throwback nature, that’s in spite of myself. It doesn’t have to do with what I particularly value in literature, it just seems to be what I can do. When ideas come to me, they seem to be founded on certain types of work, and I don’t know why that is. I sort of wish it weren’t always that way, but it kind of is always that way. So, who my actual forebears are is probably more for other people to say than for me. But who I wish they were, I could say. Like Dos Passos. I have to admit, I lifted much of the end of my last book, Palladio, straight from Dos Passos. The more I go back to those books, the more I find myself emulating them. In terms of the speed of the narrative, it was very important in this book, in a character sense, that there not be any flashbacks. I wanted to cover a lot of time but for the book to be as short as possible. It’s still not as short as I wanted it to be but I did the best I could. And the way I solved that was to have big time gaps between chapters but no flashbacks to explain what happened in the gap. Each unit has to stand for what happened in the time in between. If you look at the U.S.A. trilogy, it’s all like that. I think Alfred Kazin called it “machine prose for a machine age.” I really like some DeLillo, not other DeLillo. Often, and I won’t name any names, but often I find when I am reviewed, I’m complimented by being compared to certain writers who I actually don’t like. And I don’t know why that is, but it’s really true. JD: Yeah. As far as what I like in contemporary literature, I think the same thing, really. I tend, especially as I get older and I write more, the things that I’m drawn to are the things I could never do. I read Denis Johnson or I read Deborah Eisenberg or people who just have a particular type of gift or seem to be descending into something I could never descend into. That’s the stuff I’m really drawn to. Roberto Bolaño, like everybody else in the world. Donald Barthelme. I could go on. But the point is, I used to be drawn to people I thought I was like and now I’m drawn to people that I really know I’m very unlike. TM: You were an editor at The Paris Review for many years in the 1980s. How was this a formative experience for you as a reader and as a writer? JD: It was formative in a lot of ways. When I started working there I was 22 and I liked reading, but like most 22-year-olds, I was just a huge vista of ignorance. I would work there during the day and I would take home an armload of either the magazines or the Writers at Work volumes and read all the interviews. I really read them all, even though at that point many of them were with writers I had never heard of. That was hugely formative for me–I would really recommend that for anybody, not only because you find things in there that inspire you but because it gets across that there’s no one right way to do it. You see how varied are the forms of craziness that people bring to making a successful career out of fiction writing. People would often say, “You spend your day reading other people’s short stories, that must be really useful to you.” And it is to a point. You can’t learn from that endlessly but you can learn a few things about what not to do. And more than what not to do, you learn what’s original and what’s not. If you have a particular idea for a story or how to begin a story or how to end a story and you think, especially at age 22, That’s really good stuff, and then you read it literally 250 times when other people do it and send it in the mail to you, it starts to get across the premium you should be putting on originality, that it’s not just about craft. My old college writing teacher John Hersey once said, on our last day in class actually, he said to us, “Just remember the world doesn’t need any new writers.” Which at first seemed like an offputting thing to say, but his point was it’s not enough simply to be good at it, even though very few people are good at it. You have to bring something to it that it has not seen or heard before. Reading 200 short stories a week will bring that idea home to you for sure. It’s not enough to write well. You have to write originally. TM: Reading the slush pile is then a lesson in what not to do as much as it is what you can do. JD: I guess that’s it, that’s what limits it in terms of the lessons you can learn from it. It’s really, the lessons are all about what not to do. TM: I know that feeling from having read submissions at Tin House, too. I mean there were the cancer stories and there were the stories about babies. Sometimes they were successful, but it was what made those stories successful that was really important, what was original. JD: It’s not enough to prove you can write just as good a cancer story as anybody else. That’s not going to get you anywhere.